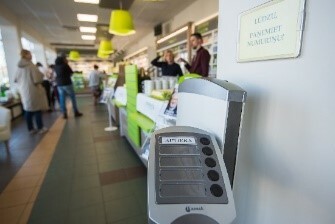 There is also a special innovation, such as the queue machine where you can get a queue number, and this innovation has been already appreciated by several clients of the pharmacy. They have no longer to wait for their turn to come, but can sit down and wait comfortably. The system also gives you the possibility to ask the pharmacist all the necessary questions, without worrying that the client behind you will listen to your conversation. The Central pharmacy will not stop at this change and will move further towards new improvements. At present, the pharmacy has three cash registers, and a fourth may be opened in the nearest future. All changes in pharmacy were done with a strong support of Tamro Latvia, sales, category, retail, marketing departments experience and knowledge. 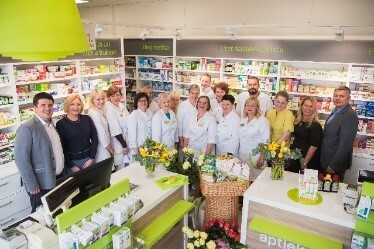 Aleksejs Borodulins (Tamro Latvia Head of Sales) comments: “This Tamro implemented project with the biggest aptieka 1 member pharmacy will strengthen joint cooperation and expand opportunities of both partners for business development and customer service”.